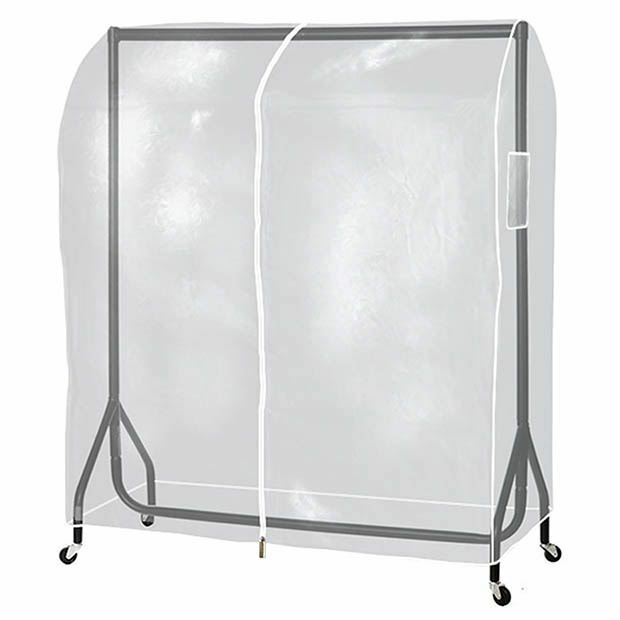 High quality protection of hanging clothes from dust, dirt and showers. Cover Size: Width x Height x Depth 121cm x 165cm x 55cm approx. Rail Size: Width x Height x Depth 122cm x 165cm x 52cm approx.